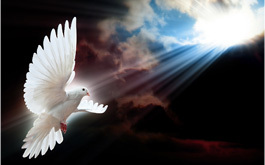 About the Holy Spirit "We Love People"
The Holy Spirit is co-equal with the Father and the Son of God. He is present in the world to make men aware of their need for Jesus Christ. He provides the Christian with power for living, understanding of spiritual truth, and guidance in doing what is right. As Christians, we seek to live under His control daily. Michael along with his wife Polly and two girls, serve as Lead Pastor of Northview Assembly of God in Shreveport Louisiana. He has been in Pastoral ministry since early 2001. He has served as a youth pastor and has been on the church planting team for 5 different church plants, one of which he was the Lead Pastor. Michael grew up near Coushatta, LA and is a graduate of Southwestern Assemblies of God University where he has a bachelors degree in Church Ministries. Michael has a deep passion for seeing people have a real personal friendship with God. Michael came to meet Jesus when he was 8 years old and has experienced many amazing miracles in walking with God.